Growing up, you likely heard the expression “step on a crack, break your mother’s back,” which is of course just a figure of speech spoken by children. However, there’s another common saying you might have heard during your adult years: “I threw my back out.” The difference with this statement is that it is, in fact, directly related to pain in the spine, especially when someone has sustained a serious injury and experienced sharp, sudden back pain due to twisting abnormally or lifting something that was too heavy. If this sounds like what’s happened to you, there are a few things you should do to facilitate recovery. It’s important to allow irritated muscles the chance to recover, and this can be accomplished by getting some rest for a few days. If the cause of your sudden back pain is an overextended back-supporting muscle or a muscle spasm, rest is likely the first remedy you’ll want to try. Lying flat on the floor is an ideal relaxation methods when managing sudden back pain, as hard surfaces tend to be better for the back than a comfortable mattress. If a herniated disc is contributing to your pain, try lying on the floor. Though rest is important, you don’t want to overdo it, as the muscles that support your spine could weaken and increase your pain rather than reducing it. Once you’ve gotten the rest you need for a few days, start exercising again. Being active can strengthen the muscles around the spine, which should come as no surprise. However, you might not realize that exercising can also release hormones called endorphins, which naturally reduce pain and make you feel good. Many over-the-counter (OTC) medications can help with inflammation, especially NSAIDs like ibuprofen and naproxen. However, if OTC medications aren’t providing the relief you need, you may want to consider prescription NSAIDs. Talk to your doctor about drugs that might be effective, and remember strong pain medications should never be considered a long-term solution for relieving back pain. If you’re dehydrated, it’s going to be much more challenging to get vital nutrients to the areas of your spine or the soft tissues that might be contributing to your discomfort. You need to keep blood flowing to your back, so it’s important to drink a minimum of eight glasses of water each day. Drink water often, even if you think you’re already properly hydrated. There are many possible causes of sudden back pain, and there’s also no single method for treating it. However, there are ways to minimize the risk of throwing your back out. For instance, use your hips for support when lifting heavy objects, warm up before a workout, and always pay attention to your posture. 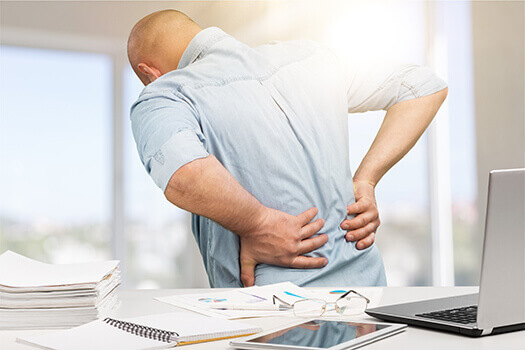 If you continue to experience this type of back pain or it worsens or spreads to other areas of the body, make sure to schedule an appointment with a trusted Los Angeles back surgeon. Dr. Hyun Bae from The Spine Institute is a top-rated spine specialist you can rely on, specializing in procedures such as spinal fusion and decompression surgery. Los Angeles patients who want to find a solution to their back pain should call 310-828-7757 today.